As 2014 draws to a close, the tech world seems a little weary. It was a draining year if you were plugged into social media, with conflicts at home and overseas juxtaposed against the soaring wealth of the San Francisco Bay Area, home to an industry that has become one of the dominant forces in the world. As we inch closer to what will likely be the top of the Third Tech Boom-Bust Cycle since the web changed the world, technology has never been more present in our day-to-day lives, for better or worse. But for all the conflict that marked the year in tech — a blatant power grab by the company that was actually voted “Worst Company in America,” the uneasiness that FCC Commissioner Tom Wheeler might finally reward his old buddies in the cable industry with favorable internet regulation, and a series of public-relations disasters by Uber that left a black mark on the next dominant tech company — there were plenty of bright spots, especially among the areas that Gigaom follows closely. Big Data has turned into big money and the rise of deep learning and artificial intelligence could transform computing. The cloud is the norm, and the largest companies in tech are going all-in on cloud computing as new startups promise to make complex app development even simpler. The internet of things, a concept we have evangelized for years, went from buzzword-just-around-the-corner to the cornerstone of planning from tech companies big and small heading into 2015. The king of the hill — Apple — unveiled what could be its next-generation product category breakthrough amid the growing popularity of wearable computers. Microsoft showed that it is at last ready to enter the mobile computing era with the refreshing emergence of Satya Nadella as its third-ever CEO. And Tesla proved that the electric car is alive and well, and just getting started as the vehicle of the 21st century. I asked our writers to pick the most important, most notable, and most influential developments on their beats in 2014, and here’s what they came up with. We’re looking forward to the holiday break as much as the rest of you are, because 2015 promises to be a landmark year for the tech industry. Thanks for reading Gigaom, and Happy Holidays. Demonstrators protest outside the FCC as the commission is about to meet to receive public comment on proposed open Internet notice of proposed rulemaking and spectrum auctions May 15 at the FCC headquarters in Washington, DC. 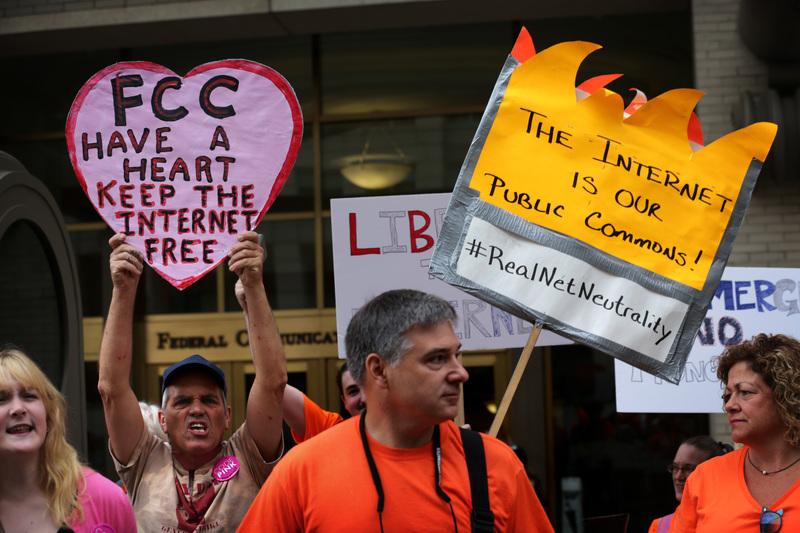 Two events this summer suggested that things were about to get much, much worse for American internet users: the FCC signaled strongly that it would give the go-ahead to ISPs to create “fast lanes” for favored websites, and the business press predicted that telecom giant [company]Comcast[/company] faced smooth sailing in its quest to swallow its largest rival, [company]Time Warner Cable[/company]. Then something changed. A popular backlash, egged on by the likes of comedian John Oliver and fanned by four million internet comments, caused the political winds to shift. All of a sudden, President Barack Obama called to implement real “Title II” net neutrality, and the FCC abruptly cooled on both the fast lanes and the Comcast merger. Going into 2015, consumers face an unexpectedly positive outlook for faster internet and real broadband competition. When it comes to online surveillance, the most significant developments of the year were probably the striking-down by Europe’s top court of the E.U. Data Retention Directive, and the aftermath of that decision. The court said the directive, which forced telecom providers to store metadata about their users’ communications for surveillance purposes, was incompatible with the rights to privacy and the protection of personal data. The U.K. responded with a barely debated “emergency law” (months after the court’s decision) that not only made it possible for the British surveillance regime to continue, but expanded it to take in communication over social networks and more. Sweden, too, doubled down on data retention, leading one ISP there to offer free VPN access to its customers. Australia is now also introducing data retention. Meanwhile, the United Nations has begun condemning the practice on human rights grounds. 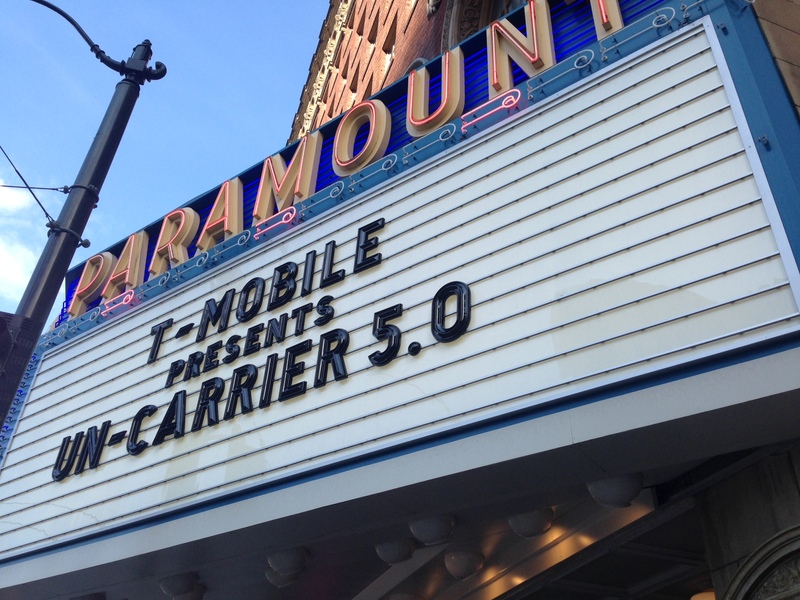 The Paramount Theater in Seattle played host to T-Mobile’s Uncarrier 5.0 event in June. If there were a telecom horoscope, 2014 would be the year of [company]T-Mobile[/company]. The carrier was the object of other carriers’ desires — with Sprint and Softbank as well as French ISP Iliad angling to buy the company — and it became a symbol for competition in the U.S., with regulators making it clear that they don’t want to see fewer than four nationwide operators. T-Mobile, however, didn’t just sit idly while the industry fought over its future. It became a competitive force in its own right, as well a thorn in the sides of [company]AT&T[/company] and [company]Verizon[/company]. It launched several unique initiatives, such as an iPhone loaner program. T-Mo even killed — or at least maimed — one of the mobile industry’s sacred cows, announcing that in January 2015 it will start allowing customers to hold onto their unused data each month. Those moves helped T-Mobile bring in 6.2 million new connections in the first nine months of the year, giving it a total of 52.9 million subscribers and putting it within spitting distance of overtaking Sprint. But most significantly, T-Mobile is changing the mobile industry as a whole. Two years ago, there was no difference between a two-year contract and a postpaid smartphone plan. But thanks to T-Mobile, all four major carriers are retreating from contracts and subsidies and charging customers lower rates because of it. 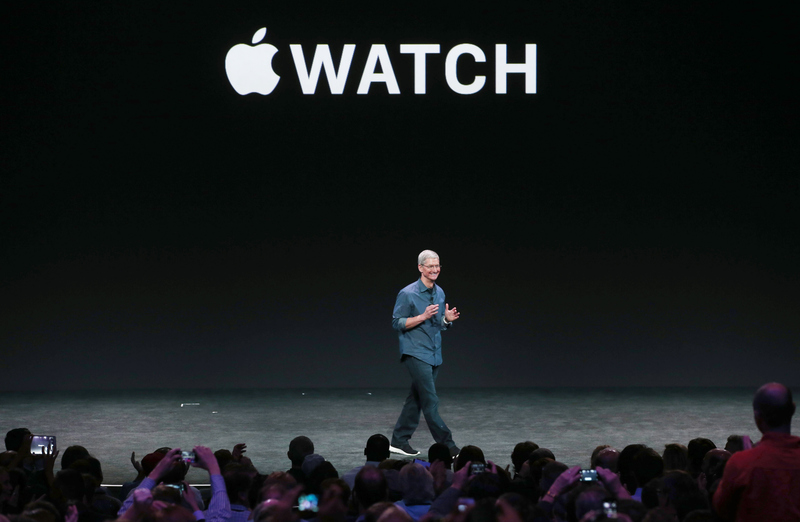 Apple CEO Tim Cook announces the Apple Watch during an Apple special event. [company]Apple[/company] is still the world’s most valuable company by market cap, and although it doesn’t sell the most smartphones, it makes the most money. But while Apple is a formidable force, cracks are starting to show. iPad sales are actually decreasing, Apple’s cloud services are still a mess — as evidenced by the embarrassing iCloud hacks — and Android devices just keep getting cheaper and better. But the biggest Apple story this year is actually next year’s story: In September, Apple revealed its vision of wearable computing in the form of the Apple Watch. We still don’t know exactly what it does or how it does it, but one thing’s for sure: it’s going to be a big story in 2015. After hearing for some time how big the wearable device market will eventually be, 2014 gave us reasons to finally believe the future forecasts: The first signs of serious mainstream adoption emerged this year. Google launched its Android Wear software platform in June and now there are a half-dozen watches that run on it, with more to come. A peek at the Google Play Store shows that the required Android Wear app for these watches has between 500,000 and a million downloads. 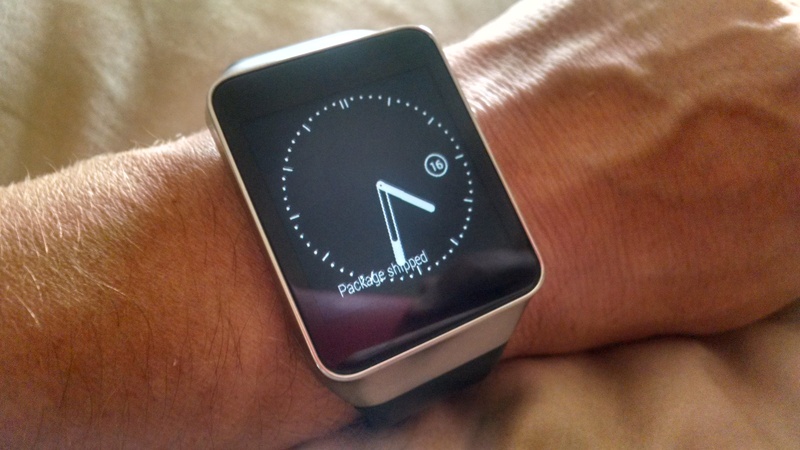 Pebble sold 450,000 watches by mid-year and continued to improve its product with Android Wear notifications. Health tracking devices fitting most budgets have also appeared en masse in retail stores. You can spend $450 for the traditional timepiece looking Withings Activité, pay $12 for a Pivotal Tracker or choose from other options between both prices. Even Apple is getting in on the new market, announcing its Apple Watch in September with a starting price of $350 when it arrives in early 2015. The slow-motion departure of Steve Ballmer as Microsoft CEO was pre-announced in August 2013, but the angst-filled search for his successor lasted into 2014. Yup, it took Microsoft’s board six months to find the next CEO right on its own Redmond, Washington campus. Satya Nadella was named the company’s third-ever CEO in February 2014. Nadella didn’t take long to make his presence felt. In March, he hosted the public debut of Microsoft’s Office for iPad, stressing the company’s plan to support its applications on all devices, even those that don’t run Windows, in effect decoupling Office from Windows. Nadella also pushed the Azure cloud hard. In a nod to changing realities, the company even deleted “Windows” from its cloud branding so Windows Azure became Microsoft Azure. If anyone doubted that Microsoft Azure would compete head-on with Amazon Web Services in public cloud, they should be sure of it after Nadella’s first year at the helm. Google acquired the Jetpac team in August. 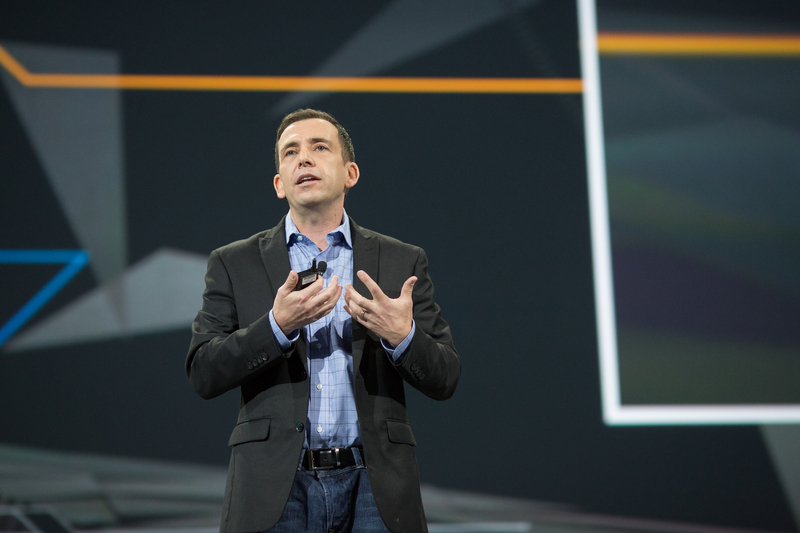 The groundwork was laid in 2013, but 2014 was the year of deep learning. There were acquisitions (including DeepMind, MadBits and Jetpac), startups (Skymind, Ersatz Labs, Enlitic, Butterfly Network and MetaMind), and of plenty of debate over whether deep learning is the next big thing or just a lot of buzz. Both are probably somewhat true, but what’s undeniable is the pace of change in the field now that some of the world’s largest companies are funding it — last year’s advances were quickly overshadowed, and breakthroughs came from all over the place, sometimes simultaneously. If you’re an avid follower of cloud computing, you’ve probably heard about the container and how it can help developers craft applications more easily as well as simplify IT operations. San Francisco–based Docker has been at the forefront of popularizing the container, which is a type of virtualization technology that lets a single Linux operating system kernel run multiple applications without them impacting one another. What made Docker so popular (it landed $40 million in the fall and is supposedly valued at $400 million) is that it makes it simpler to move these virtual shells — each containing parts of an application — across multiple environments like different clouds or even bare-metal servers. While Docker got a lot of attention this year from big tech companies — Google, VMware and IBM are all supporters — one of its partners, CoreOS, recently decided to launch its own take on container technology, dubbed Rocket. Now Docker might have some major competition as CoreOS’s spin on container tech is generating buzz among cloud watchers. 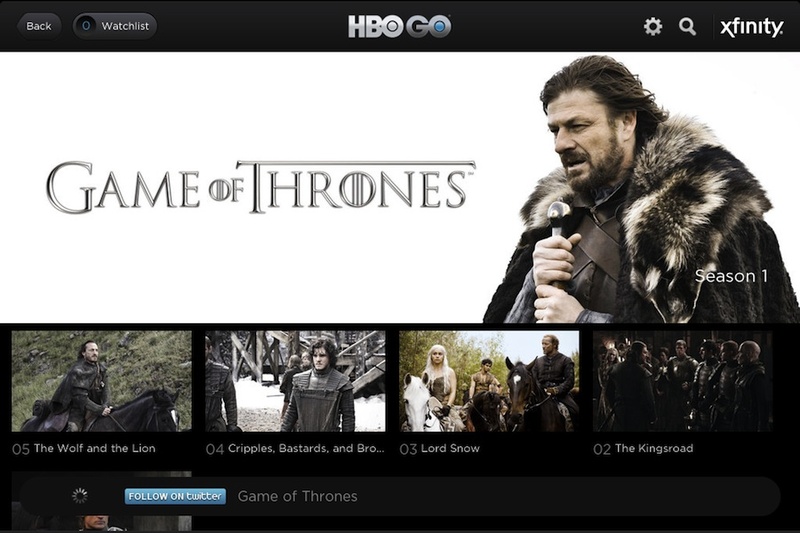 In the history of TV, there will be a special chapter for that fateful week in October of 2014 when the unthinkable happened: First, HBO declared that it was going to launch an online service for consumers without cable. The very next day, [company]CBS[/company] actually went ahead and launched its own online subscription service. And hours later, Univision revealed that it wants to launch such an online service as well. That week may well be the beginning of the great unbundling, or at the least the week during which TV execs admitted that they can’t keep doing business as usual in the face of a seismic shift in viewing patterns: Just weeks before HBO, Univision and CBS revealed their plans, [company]Netflix[/company] disclosed that its average subscriber already streams 90 minutes every single day. In this photo illustration the new smart phone taxi app ‘Uber’ shows how to select a pick up location next to a taxi lane on October 14 in Madrid. Spain then banned Uber in December. In 2014, Uber went big time. The ridesharing company raised an additional $2.4 billion in venture funding, shattering private company valuation records. It continued its international expansion and picked up the pace, moving into China and India, and expanding its footprint in Europe. It hired Obama’s former campaign manager, David Plouffe, to manage its own public image. Not all was hunky dory, though. Uber’s elaborate scheme to steal drivers from Lyft became public, along with its threats to dig into journalists’ personal lives. 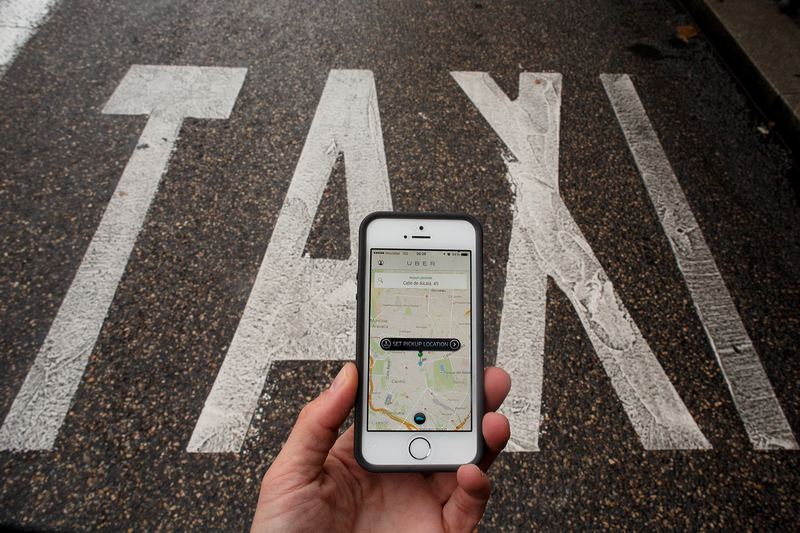 The legal battles have only increased, and Uber fielded lawsuits from cities ranging from Los Angeles to Portland. For better or worse, the company is shaping up to be the Google of this generation. 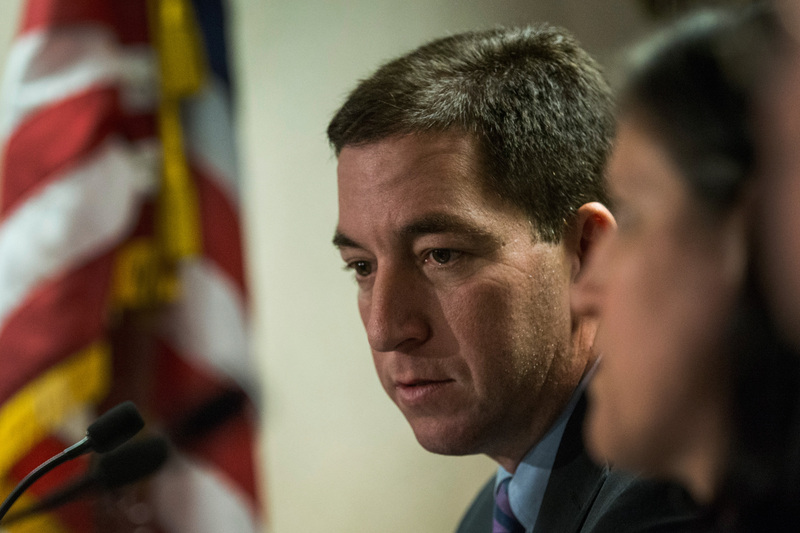 Investigative reporter Glenn Greenwald speaks at a press conference after accepting the George Polk Award along side Laura Poitras, Ewan MacAskill and Barton Gellman, for National Security Reporting on April 11 n New York City. This year has seen a number of fascinating media events, from BuzzFeed’s $50 million financing and Vice Media’s billion-dollar series of deals with old-media players to the recent bombshell news from Gawker founder Nick Denton that he has turned over control of his blog empire to a managing committee. But I think one of the biggest stories of the year has been the launch and subsequent stumbles of First Look Media, the new venture funded by [company]eBay[/company] billionaire Pierre Omidyar. Although the launch of First Look was announced in late 2013, after the news was leaked to BuzzFeed, the site didn’t even have a name, and didn’t actually launch until well into 2014, with the introduction of a “magazine” called The Intercept, run by investigative blogger Glenn Greenwald. At the time, Omidyar said The Intercept would be the first of a series of similar magazines run by different journalists, including one driven by former Rolling Stone political writer Matt Taibbi, called The Racket. Those plans soon hit a speed bump, however, as stories emerged of micromanagement by Omidyar’s executives, and Taibbi eventually left — followed by Intercept editor John Cook, who returned to Gawker after co-writing a piece about the issues at First Look. The upheaval has led some to wonder whether the company will ever achieve the goals that Omidyar outlined when he announced that he was committing $250 million to it, and whether newer ventures such as former NPR editor Andy Carvin’s social-journalism project — called Reportedly — will be able to rely on the organization for continued support. But at least they are a sign that there is still life in Omidyar’s vision, even if it has been a bumpy ride so far. 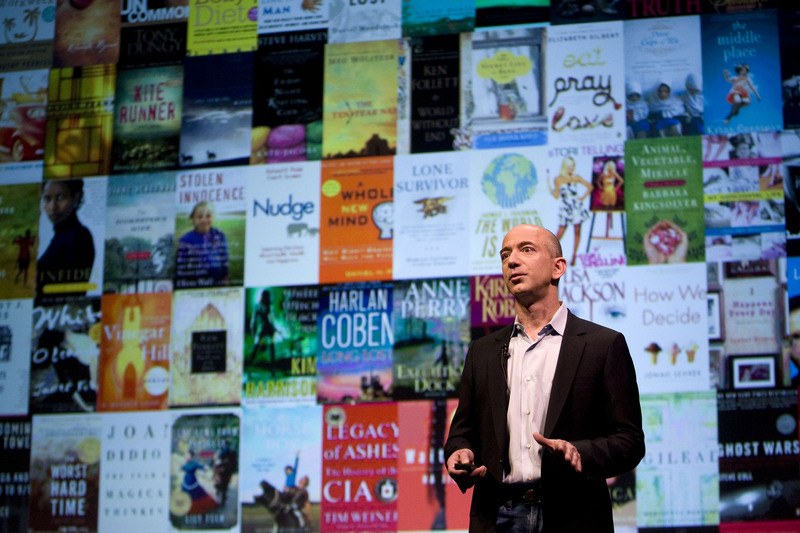 “Netflix for ebooks” actually started to look like a viable concept in 2014: [company]Amazon[/company] unveiled its ebook subscription service Kindle Unlimited in July. Meanwhile, startups Scribd and Oyster, which had both launched in 2013, expanded their collections in 2014, nabbing a couple big-5 publishers (HarperCollins, Simon & Schuster) that Amazon hasn’t been able to get. And Macmillan CEO John Sargent praised ebook subscription services as a potential way that publishers can challenge Amazon’s dominance in the ebook market. That means that when you use these services, you’ll actually be able to find some big books you want to read (or, in Scribd’s case, listen to — the service added audiobooks in November). It’s unlikely that all three of these services will survive, but for now they are competing against each other with various holiday deals, so it’s a good time to give one of them a try. I wanted to call Apple’s debut of HomeKit the most important news for the internet of things this year, but since its debut in June we haven’t seen products launch, and won’t until CES in 2015. Instead, I think the biggest news item was Google’s announced acquisition of Nest for $3.2 billion in January and subsequent acquisition of Dropcam for $550 million in June. 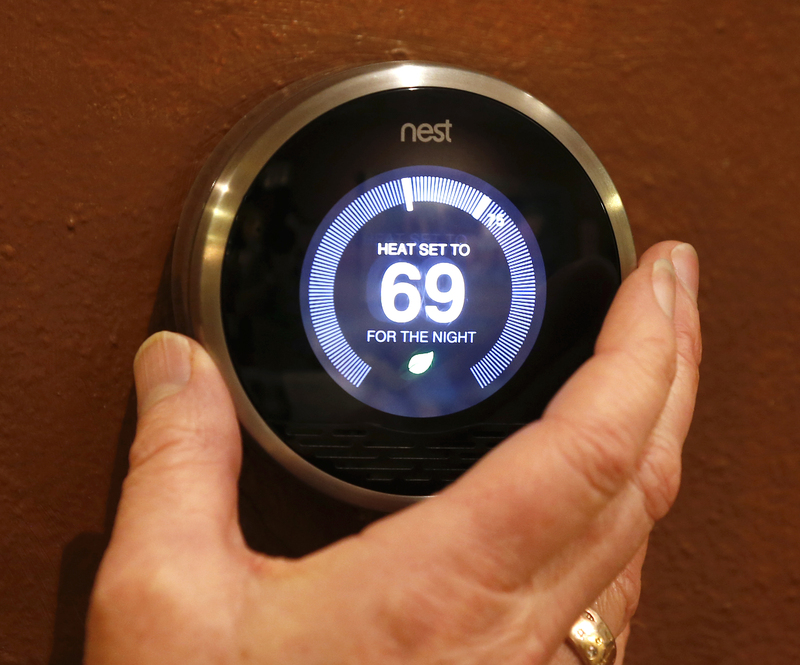 The Nest deal put a spotlight on the market and convinced entrepreneurs, venture capitalists and big-name consumer brands that there was a there there in the smart home. From that point on, what had been a mishmash of standards and smaller products became the equivalent of big data — something that, suddenly, everyone needed a strategy for. This will mostly affect the consumer market — businesses are playing an entirely different game when it comes to the internet of things — but it had a huge impact. A recently raised spot of land in the Tahoe-Reno Industrial Center. Tesla first started talking about the idea of building a massive battery factory at the end of 2013, but it wasn’t until 2014 that the company started to take the steps needed to make that crazy idea a reality. Is it really that crazy? Yes: Tesla’s “gigafactory,” which will produce batteries for its third car as well as for the power grid, could more than double the entire world’s lithium ion battery production. At the start of the year Tesla raised $2 billion to help fund the factory. Later in the year, it secured Panasonic as a crucial partner. 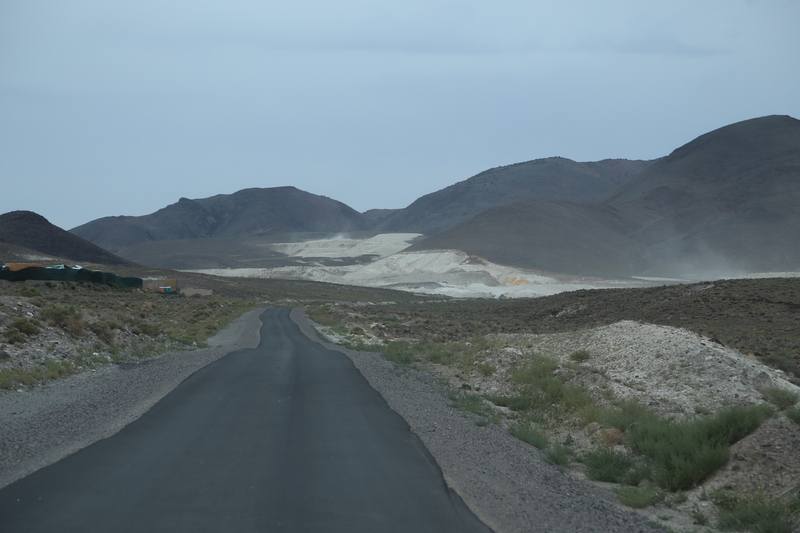 During the summer, Tesla CEO Elon Musk started playing up the search for a site — squeezing cities and states for as many incentives as he could get — and in the fall finally settled on Nevada, at a site just outside of Reno, which we scoped out. The factory deal could help transform the gambling backwater that is Reno into a high-tech manufacturing hub. 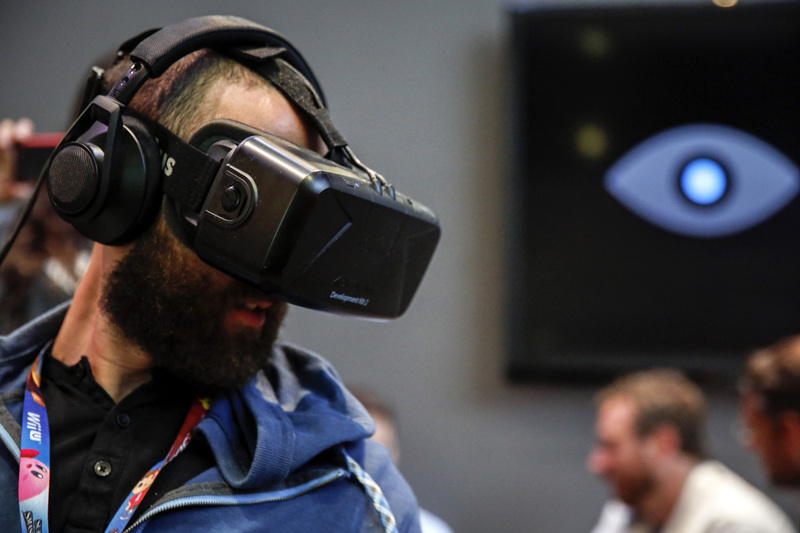 An attendee wears an Oculus VR Inc. Rift Development Kit 2 headset to play a video game during the E3 Electronic Entertainment Expo in Los Angeles on June 11. Am I the only one who finds it crazy that this virtual reality revival only began two years ago? 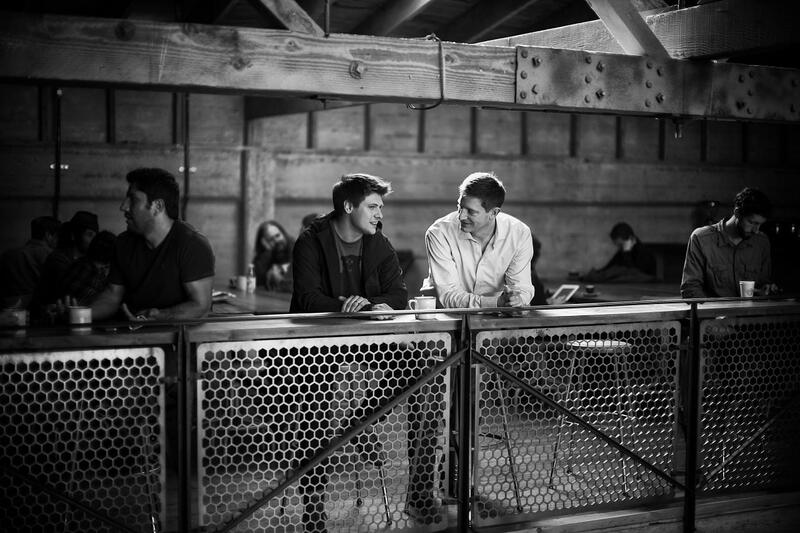 That’s when Oculus launched its Kickstarter campaign, spurring an explosion of startups. But it wasn’t until March of this year that the interest in virtual reality turned into a frenzy. That’s when Facebook acquired Oculus for $2 billion, suddenly redefining it as a field to which even the largest companies should pay attention. Samsung has since released its Gear VR, and Google has Cardboard. They won’t be the last to release headset options. Oculus’ Rift headset hasn’t even been released to consumers yet. That should give you a hint that it will continue to be a top headline for years to come. 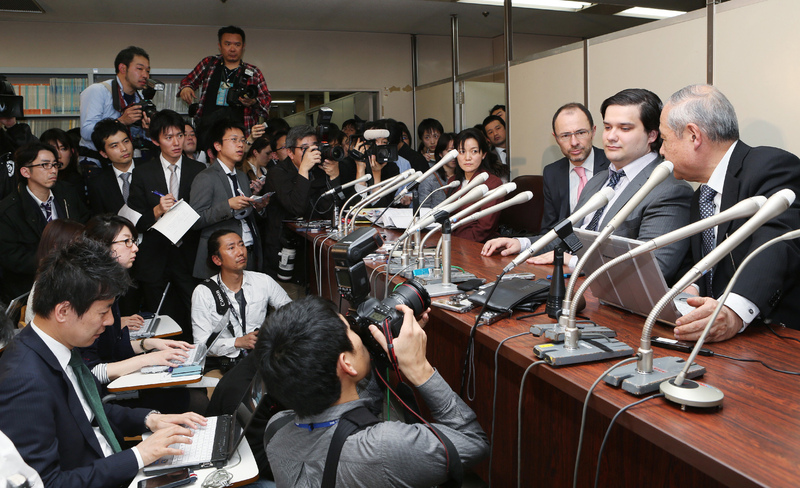 Mark Karpeles (2nd R), president of MtGox bitcoin exchange speaks during a press conference in Tokyo on February 28, 2014. The troubled MtGox Bitcoin exchange filed for bankruptcy protection in Japan on February 28, with its chief executive saying it had lost nearly half a billion dollars worth of the digital currency in a possible theft. Bitcoin started the year on a high — adoption was rising, and so was the price, peaking at $1,023 on January 26. Now a bitcoin is worth around $350. You can blame, in part, the long shadow that the fall and bankruptcy of the MtGox exchange in February has cast over the community. Leaked documents showed that more than 750,000 bitcoin belonging to users were lost, along with 100,000 belonging to the exchange. At the same time, Newsweek allegedly outed the founder of the cryptocurrency, a report which Dorian S. Nakamoto has vehemently denied. After its bumpy start, the price has continued declining as the blockchain, the underlying technology behind bitcoin, has started to gain traction among other industries like the internet of things. Expect to see more talk of the blockchain (and perhaps a little less bitcoin) in 2015.
â€žAppleâ€™s cloud services are still a mess â€” as evidenced by the embarrassing iCloud hacksâ€ – couldn’t agree more with this assertion. The celebrity photo leaks revealed a lot of Apple’s problems. Let’s fight for our privacy the best way we can: using Hiddn, an app that was created with an unique and advanced technology to protect our photos from being stolen and used against our will on the web. The app instantly encrypts the photos from the very first moment you take them and doesn’t sync them to iCloud, keeping them locally. Here’s the app, if you’re interested: bit.ly/hiddnapp.